I’ve been involved in a discussion lately on https://www.facebook.com/groups/pilatescontrologyforum/ around the subject of why we teach spinal flexion in Pilates. As is often the case, this discussion began to deviate slightly from the starting question, leading into other (for me) interesting territory. Namely, it made me wonder if there is a consensus within the Pilates teaching community as to whether Pilates is itself a functional movement/exercise discipline. A functional exercise is one that teaches, or reinforces a movement pattern that is useful, and health enhancing, beyond the execution of that discrete exercise. For example, I would consider the Hundred to be functional because (amongst other benefits) it requires the maintenance of spinal stability under load (from our legs), and also the ability to disassociate our shoulder joint – to move our arms in our shoulder joints without uncontrolled spine or scapular movement. Both of these being very useful in a variety of scenarios (dare I say “fundamental movement patterns”?) I wouldn’t consider a bicep curl as pictured above to be functional, because the machine removes any requirement to create stability, or to transfer load into the centre (free-standing curls would be a different story, of course). The Facebook discussion reminded me that there are other definitions. For what it’s worth, CrossFit has this definition, and if we turn to Wikipedia they do not have a page for functional exercise but will direct you to ‘functional training‘, which ties in to occupational therapy. Within the discussion, the thing that was slightly jarring for me was the idea that Pilates might not fall into some people’s idea of ‘Functional’, since it seems (generally speaking – more on that later) to fit that description very well. All that said, I do agree with a contributor to the forum referred to above, who said something along the lines of “sometimes people ask too many questions, instead of just doing the work”. I do think it’s often possible that doing the work will lead you to the answer to your question (“Why is it done this way?”, for example). I have heard Romana, on the excellent “Legacy Edition” DVDs, quoting Joseph answering “What is this good for?” With the wonderful response “It’s good for the body.”I’m not suggesting that clients should be constantly questioning why they are doing things, and their teachers constantly explaining everything. Rather, I hope that they find the answers for themselves whenever they can, and that I have the understanding to explain the ‘why?’ if I have to. I believe I have a better chance of being an effective teacher if I have that understanding. As an aside, I’d much rather be described as a ‘teacher’ than as an ‘instructor’. The first definition that my dictionary gives for instruct is: “to direct to do something; order”. The first definition that it gives for teach is: “to help to learn; tell or show (how)”. I think that the element of reasoning may be the thing that distinguishes between an instructor and a teacher. ‘Reasoned Pilates’ fits with my perception of Pilates as something that makes you better at other things, rather than Pilates as a thing to be good at. 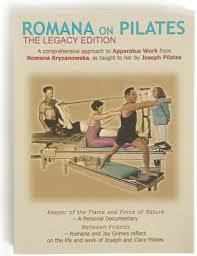 I don’t believe that Joseph Pilates complied the exercises in ‘Return to Life’ for people to practice in order to become very good at doing those exercises. The point was to practice those exercises in order to enhance one’s health (No?). 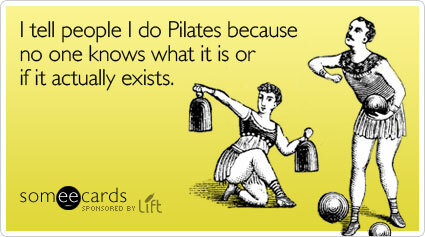 I know that there are people that consider Pilates to be an art form, but I can’t call myself one of them. Seeing someone display a high level of competence in anything is usually enjoyable, but I find the many videos, that do the rounds of social media, of people working on the Reformer (perhaps with dramatic lighting) to be somewhat tiresome. (Equally, photos of lithe bodies on exotic equipment adapted from Pilates apparatus, rather than “Looks beautiful”, make me think “But why? What’s the point?”. It’s as if Pilates is being practiced for someone else other than the practitioner. Another element to the consideration of ‘functional’, that I was reminded of whilst trying to follow some of the Reformer work demonstrated on the aforementioned DVDs, and may have been missing from the definition I offered above, is fun, or feeling great. It’s sort of covered by the ‘health enhancing’ idea, I think, but deserves its own mention. Something that makes you appreciate, or helps you bask in the joy of whole body movement surely performs a valuable function? To return to the bicep curl analogy, I’m no body builder, but it’s hard for me to imagine that anyone ever had much fun doing sets of bicep curls. Yes, viewing the hypertrophic results in the mirror afterwards may result in a flush of pleasure, but actually doing the sets of curls? Surely not. I don’t know whether the response to doing the various rowing exercises on the reformer was musculo-skeletal, hormonal, emotional, or what. It felt marvellous. If you think that Pilates doesn’t fit under the heading of functional movement, or functional exercise, I’m sorry, but I don’t understand. 3 responses to Pilates – Functional? Functional movements are the movements that we first did when we figured out how to get up and walk. We start with our eyes and tongue and mouth and then over a year learn how to connect everything together to be able to stabilize and move different parts of the body in synergistic ways that allow us to explore our world and get what we want or what interests us. Everything else is just more of that but bigger and more complicated. Functional movement pertains to what we did in life before we became sedentary. Walk, run, jump, squat, lunge, dip (to push up), press and pull up. Love your blogs as very well written but the hundred is as functional as a bicep curl. Me thinks your view point may have changed recently.